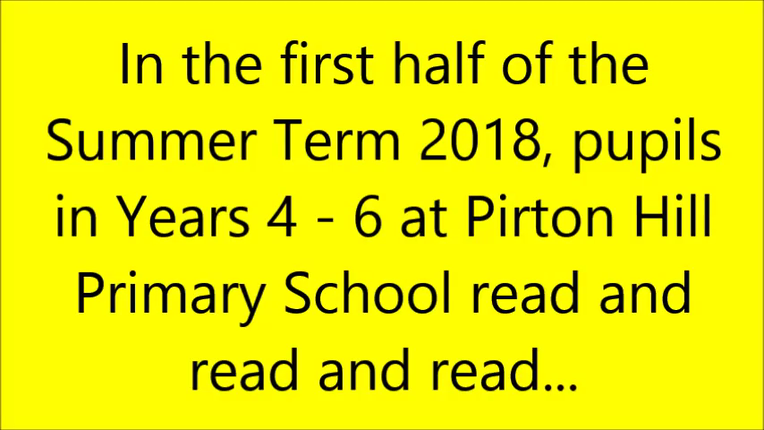 The end of the year another terrifying time for the reading bugs. Could they survive to the summer holiday when the evil Mr Both would retire for another year to his evil lair? The children have once again tried their best to safe the bugs. Only a few remained unclaimed and there fate was yet to be decided! Last half term the Pirton Hill children read like they had never read before! At the end there were only 9 brave bugs left to face the evil Mr Booth. With their hearts 'set' on a better life, they formed a `concrete` plan to escape! But did they make it! Please keep reading so there are no bugs left behind! 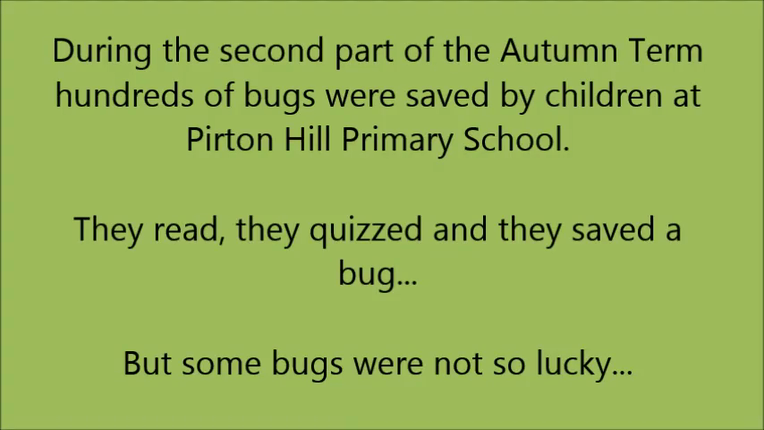 The children of Pirton Hill have been working harder than ever to save the Red Reading bug. More readers than ever achieved their reading target and saved a bug. However, there were still some bugs that could not be saved! With little hope that they would ever be free the bugs made a dash for freedom. With Mr Booth confused and lost the bugs thought they had made it........ sadly they were unaware of Mr Booths new apprentice!! THE EVIL MR BOOTH STRIKES AGAIN! It is with great sadness that we have to inform you that more Reading Bug have been captured by the Evil Mr Booth. 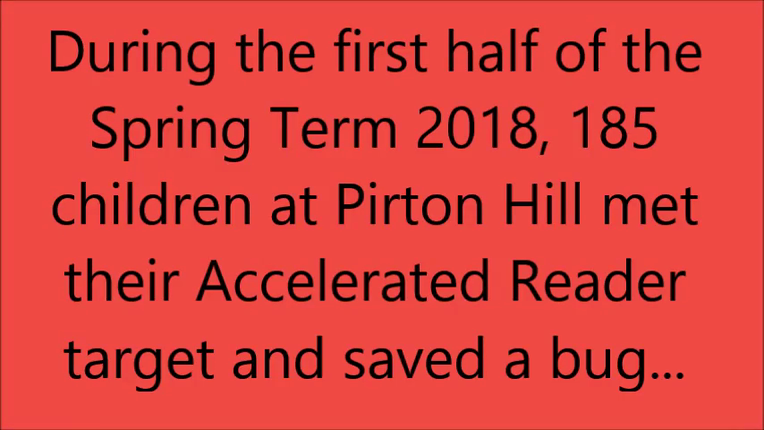 The Pirton Hill children put in a mighty effort to save as many as they could, but some were not so lucky!! There is still time to save the Red Bug- They need your help, please read your books and reach your target. We have to stop him. We need to stop him here and now. You have to read and read some more until you reach your special goal. To save me and the reading bugs. To was too late for some of the bugs!! They had already encountered the evil Mr Booth!! There is still time to save the rest of them!